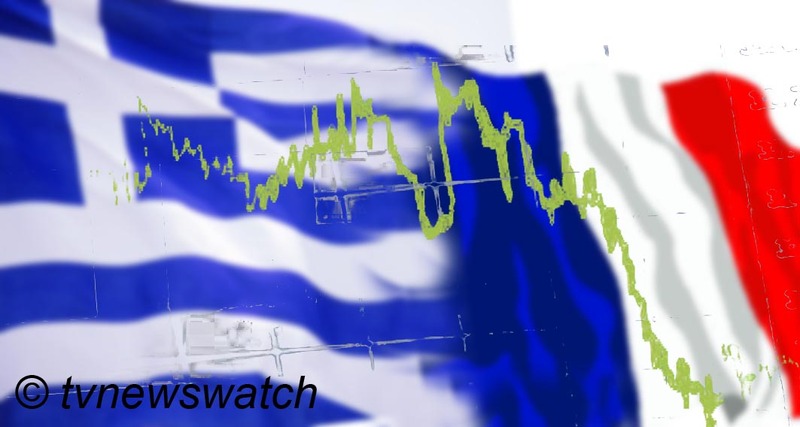 France has swung to the left and Greece has been left in a position of political uncertainty after electorates in both countries voted in reaction to sweeping austerity measures that have been implemented across much of the Eurozone. French voters woke up to the first socialist president for 17 years. The defeated Nicolas Sarkozy conceded to François Hollande in the French elections before the full result was declared but asked his own supporters to respect his opponent's victory. Amongst Hollande's supporters there were clear signs of jubilation. Celebrations went into the early hours across Paris with many seeing the change of government as a chance to put austerity in the past. "Europe is watching us, austerity can no longer be the only option," Hollande had told the jubilant crowd. The world's applause for the Sarkozy-Merkel axis, and their combined efforts in staving off a euro crisis, had not impressed the majority of the French electorate. The words "austerity" and "budget discipline" were eclipsed by another word; "growth". But Hollande's victory was only slim, having gained only 52% of the vote. And his win was as much to do with Sarkozy's style of leadership and and a failure to address other domestic policies as it was to do with austerity and the euro crisis. Even when Hollande takes the helm, he too will face difficult challenges and strong criticism as he tries to stem the fallout of the debt problems that linger from the 2008 global downturn and banking crises that still plague many European countries. Across the other side of Europe, there were further signs that people were fed up with cuts in public spending and the social upheaval that came with the measures. In Greece the population gave a clear message that they were unhappy with the coalition and its austerity plans. The anger was not displayed on the streets as been seen so often over the past few years, but shown at the ballot box. The majority voted for parties opposed to austerity with the Conservative Democracy Party gaining the most votes, though not enough to secure power. It may be forced to form another coalition with parties ranging from the left to right wing extremism. Of particular concern in Greece is the rise of parties like Golden Dawn, a party branded as being neo-Nazi, which was savouring unprecedented success in Sunday's general election and promising to rid Greece of illegal immigrants, branding journalists "liars" and warning all "traitors" to run scared. While at the fringe of Greek politics, the significance of the shift in Greek politics may have much wider effects. There is already talk of rejecting the deal having been made with the ECB and tearing up the bailout agreement. Such a decision could not only leave Greece in turmoil but create instability across the Eurozone as a whole. There has already been a reaction to the election results in Greece and France. The uncertainty over how the change in leadership might affect the Eurozone impacted currency and stock markets around the globe. The euro fell against the dollar and the pound on Monday following weekend election results with the European currency falling as low as $1.295, its lowest since January, and dropping to three-year lows against the pound. Stock markets also tanked. The Cac40 in Paris opened down 1.7% and Germany's Dax opened 2.2% lower. Meanwhile Asian markets saw significant falls with the Nikkei in Tokyo dropping 2.8%, the South Korea's Kospi shedding 1.8% and Hong Kong's Hang Seng sinking by 2.4%. There was no immediate reaction on the FTSE as London markets were closed Monday for a public holiday. The election results in Greece has cast doubt on whether its austerity measures which include spending cuts, tax increases and state job losses, can continue. As regards France, there is uncertainty about how well François Hollande might work with German Chancellor Angela Merkel as did his predecessor Nicolas Sarkozy. Both Merkel and Sarkozy had been a driving force in negotiating a plan to stem the Eurozone debt crisis. While there was some criticism, especially from the Greeks, over the plans negotiated by the pair, the unity of the two largest European countries had created an air of stability in an otherwise fragile economic zone. François Hollande stood on a platform of promoting growth rather than concentrating on austerity. But while austerity has become a much unloved word, ignoring inappropriate public spending may only store up more financial problems for the future. The idea of spending one's way out of recession is much debated but ultimately flawed. Just as individual families have had to stop using the plastic and make cut backs, so too should governments stop or slow their borrowing and live within their means, making greater efforts along the way to pay back debts already accrued. Growth cannot come until financial stability has been established, something that is very distant on the horizon. Cutbacks of course are painful. In a family it may mean less trips to restaurants, pubs or fewer holidays, extending to a more frugal lifestyle at home. This can cause friction between family members. Children especially may be difficult to placate and temper tantrums may rise as pocket money dwindles and days out become less frequent. Governments too are facing similar temper tantrums. While austerity might be necessary it comes down to trust for the population. Are the parents still living it up at the expense of the children, cutting their pocket money and days out? Or are the cutbacks equitable across all sections of society? If governments and its ministers are not seen to be taking a cutback in their own lifestyle, austerity, however necessary, will not please the public who are expected to live on less.